What do you do when everyone assumes that your band is never going to release another album? Take a 12-year-long break, embark on myriad musical offshoots, maybe run for political office or become a cheese farmer, and then get the band back together in an overheated Hong Kong studio to make the record that you want to make? Well, that's what Blur did — and the results are a pleasant surprise. The Magic Whip hears the band reuniting for their first new LP since 2003's Think Tank — an album that pretty much documents the band's breakup to tape, with guitarist Graham Coxon disappearing midway through the sessions and frontman Damon Albarn taking charge of the band's sound. On The Magic Whip, it's clear that the band has benefitted from some time apart. Teaming up once again with producer Stephen Street (responsible for classics like Parklife and The Great Escape), it's immediately evident that Albarn, Coxon, bassist Alex James and drummer Dave Rowntree have re-learned how to work together. "Lonesome Street" opens the album with all the bombastic glory of their Britpop heyday, delivering an infectious guitar-driven romp without dwelling in the past (though fans of classic mid-'90s Blur will certainly appreciate "Go Out" and "Ong Ong," as well). "New World Towers," meanwhile, sounds akin to the melancholy ballads we've come to expect from Albarn's solo and side projects, but Coxon's six-string flourishes and James' hooky bass bring it back into Blur territory. 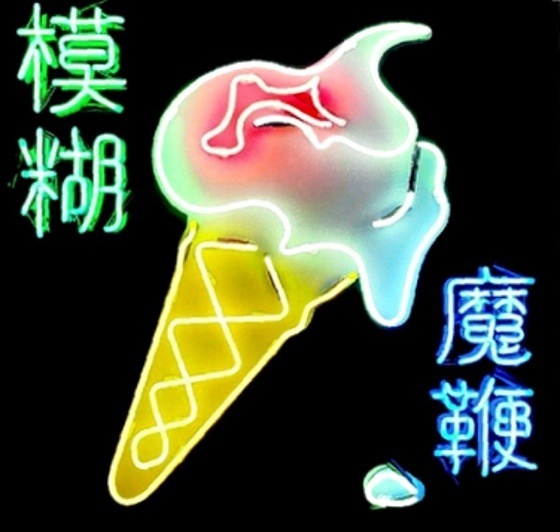 "Ice Cream Man," the song from which the album takes its name, is weird Blur at their best, telling the tale of the title character and his magic whip to the tune of springy, bubbly sound effects and simple, almost child-like melodies. The familiar theme of technology and the perils of modernity creeps in on tracks like "I Broadcast" and the military march-esque "There Are Too Many of Us," while Albarn's signature lonely man tropes reappear on "Thought I Was a Space Man," "My Terracotta Heart" and "Ghost Ship."